On entering Year 7 you will start to learn either French or German. 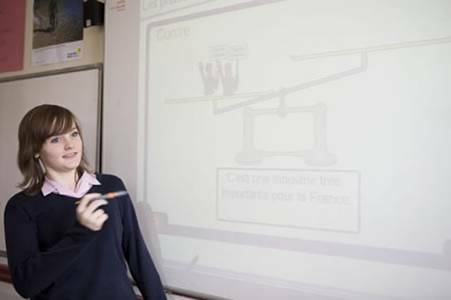 In Year 9 you will start to learn Spanish as well as your French or German. Throughout KS3, you will have many opportunities to develop your language skills through the use of ICT, both in the classroom and in one of the dedicated computer suites. We also regularly run day/overnight trips to Christmas Markets in Germany and France, which are always very popular as well as being generously subsidised by the school.